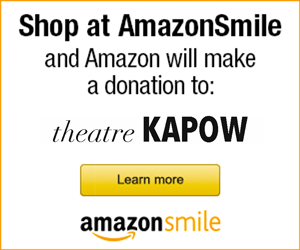 Training is an integral part of theatre KAPOW's work. 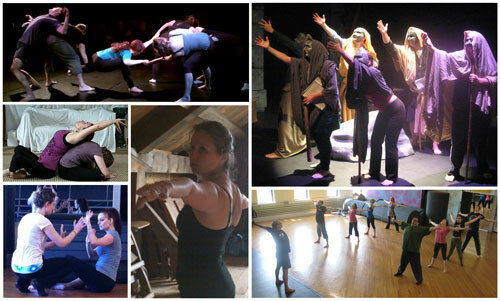 acting, movement, improvisation, voice, speech, object work, viewpoints, and more. 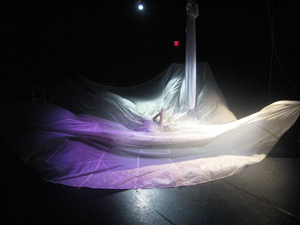 Company members have trained with Double Edge Theatre Company, the Michael Chekhov Studio, Shakespeare & Company, The Atlantic Acting School and SITI Company, and draw on these techniques and methods for their work. All are invited, no experience is necessary. Come comfortably dressed to move (no jeans). Arrive 15 minutes early to check in and stretch. Open trainings are held on the 3rd Saturday of every month and cost $5. Sessions take place in the studio on the third floor of 83 Hanover Street, Manchester, NH unless otherwise noted. Street parking is available. $5 per session, payable at the door. Questions? Email us. Planning to join us? You can complete the waiver in advance and bring it with you if it is your first time. "The process of creating with such trust... wow so wonderful! Thanks for making me feel welcome!" "Had a mind-blowing moment at theatre KAPOW training this morning. Finally connected some concepts I have been struggling with. Love it!" "Thank you for an invigorating training this morning! Sharpened these tools in my toolbox- movement and gestures to prompt/find feelings and using your whole body in a gesture so it has a beginning, middle and end." Check back soon for updates and join or e-newsletter for the latest news.